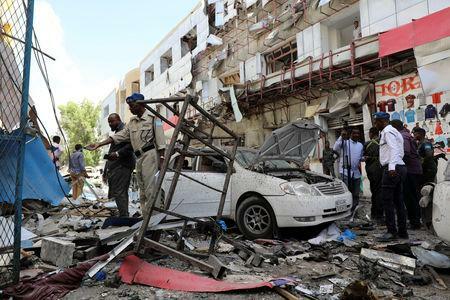 MOGADISHU (Reuters) - A car bomb exploded at a shopping mall in Somalia's capital on Monday, killing 11 people and wounding 10 in an attack that police said was probably carried out by Islamist group al Shabaab. 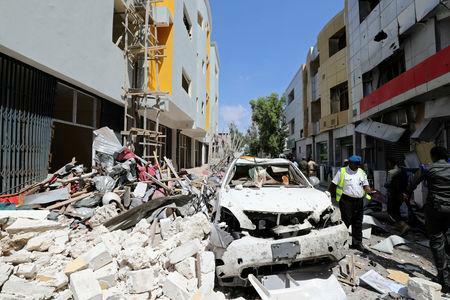 Al Shabaab's militants also carry out attacks outside Somalia. 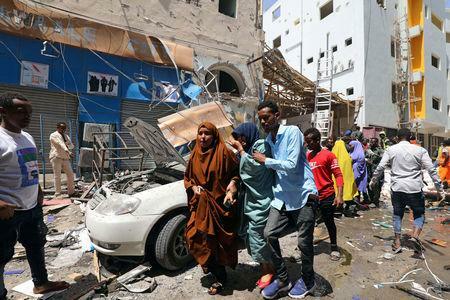 Its latest assault in neighbouring Kenya, a suicide and gun attack at an office and hotel complex in the capital Nairobi last month, killed 21 people.